As a self proclaimed horror aficionado, or course I love the month of October! 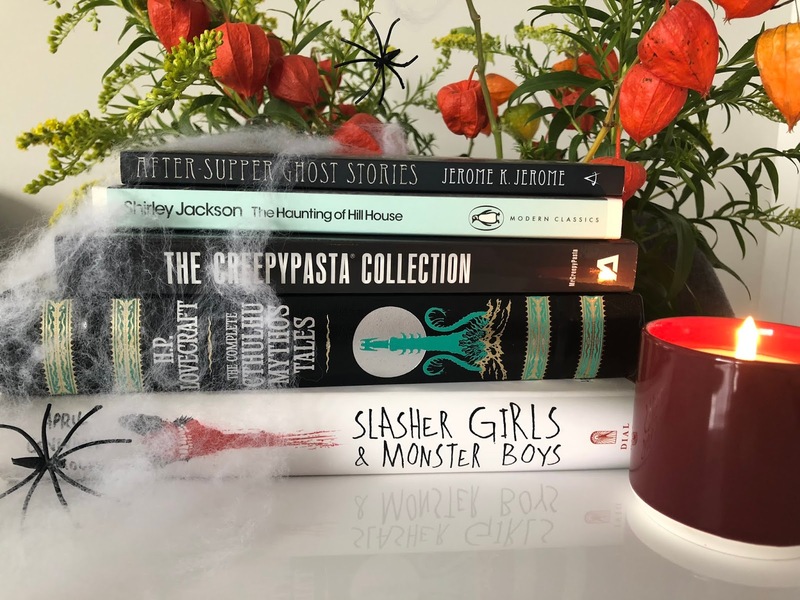 I've talked at length about enjoying curling up in the dark with a good book and a pumpkin spice latte during the autumn and Halloween is just such a fun holiday, I wish we put more emphasis on it here in the UK like they do in the USA. Because of this, I've decided to take part in blogoween. Many bloggers will blog every day during the month of October, but I do not have the time or creativity to do that so I will continue to be blogging every 4 or so days, but during October my posts are all going to be horror book themed. I've been obsessed with horror from a young age, I'm pretty sure it started with the Nickelodeon programme, Are You Afraid of the Dark, which was incredible, and my first taste of literary horror was Goosebumps. Definitely outing myself as a 90s child now! When it comes to horror books my preference is definitely paranormal, give me ghosts, exorcisms or Ouija boards and I am sold, so this will definitely have a influence on what I talk about, with gore being my least fave type of horror, if you can count that as a genre. Oh, and zombies, not so keen on them either! Ha I love this! I love all things October and Halloween! But Are You Afraid Of The Dark & Goosebumps used to terrify me. I do love my scary movies now, but I can never ever read a scary book! I cannot do scary stuff at all I blame my mental health. I absolutely love Halloween and all things scary! October is by far my favourite month due to this! I loved Goosebumps too, and the Point books as well. The USA definitely do celebrate Halloween in style, I would love to go there for it one year. I’ve heard a lot of bloggers taking part in that! The stores have lots of options for Halloween and chocolates too! You're right, Halloween is so much bigger in the USA than ir is here in the UK. Blogoween sounds like fun though! I look forward to reading your spook inspired posts during the month! 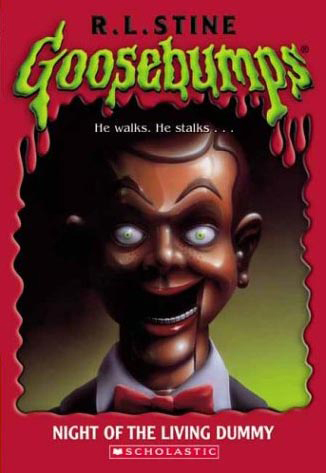 Ha I too was a 90s child and liked Goosebumps! I raced through plenty of Point Horror books too, but it's funny, now I'm a total wimp. I can't do scary films at all (genuinely, Pretty Little Liars had some bits that made me nervous!) but I still like to read horror...well, maybe horror-lite. We have very different preferences though; I'll happily pick up all things zombie, but I started Heart-Shaped Box by Joe Hill a few years ago (which is about ghosts) and had to give up and google the ending because I was too much of a wimp! Hoping to branch out of my comfort zone though so I'm happily stalking your blogoween posts.